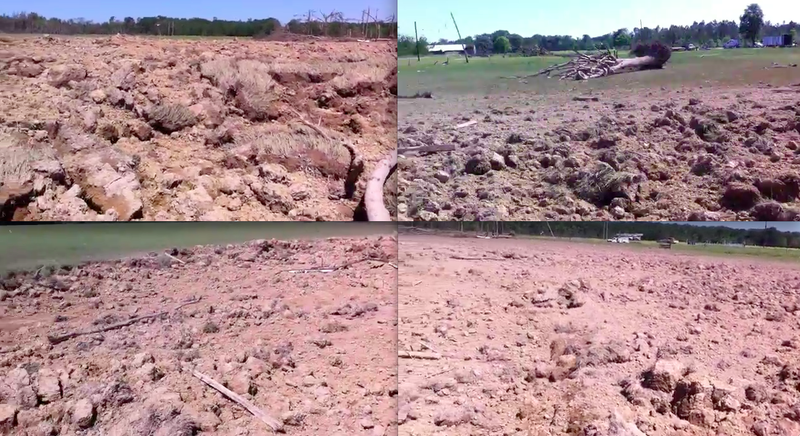 Additional video frames of the severe ground scouring. Footage of the tornado around the time the damage occurred shows impressive, but not unprecedented rotational velocity. The vortex/vortices responsible for the trenches were likely hidden within the larger funnel.